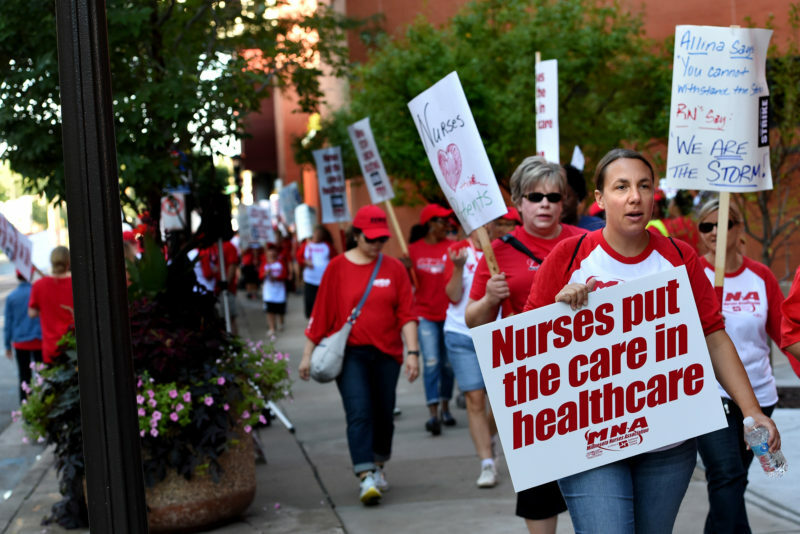 Nurses’ union leaders say that the growing militancy of nurses to strike is driven by the same forces as the teachers’ strike: underfunding of community healthcare systems, frustration with male-dominated management in a profession that is 80% female, and growing community support nationwide for unions. 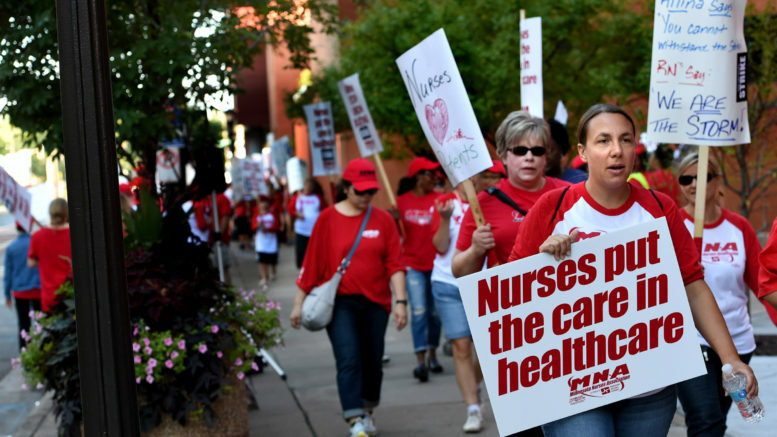 “Just like educators who care for our nation’s children, nurses are constantly being asked to do more with less,” said AFT president Randi Weingarten, whose union represents over 120,000 healthcare workers and is the second-largest nurses’ union in the AFL-CIO. Be the first to comment on "A Wave of Nurses’ Strike is Likely to Follow a Women-led Teachers’ Strikes"